I have some friends who are updating their dining room and are stuck. 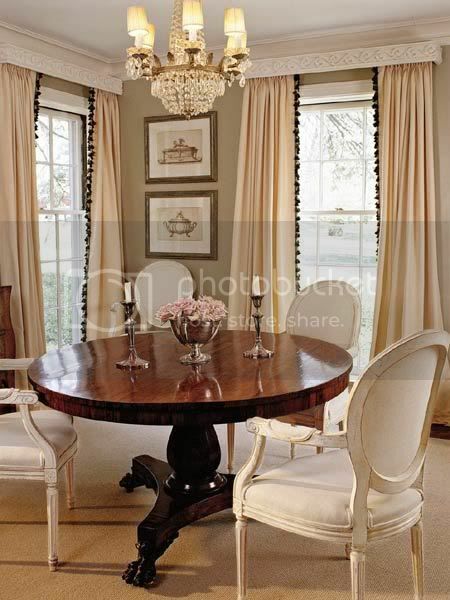 They have a beautiful round cherry dining table and are looking to purchase chairs. 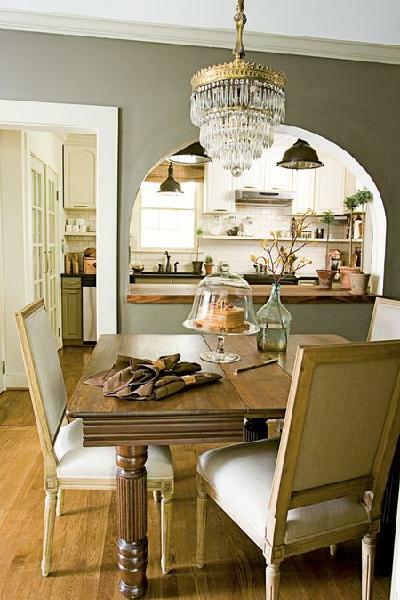 They are drawn to Louis style chairs and have been toying with the idea of going with an un-matching look. They asked me for some help with ideas, so I thought I would share some images that pull off the mismatched look beautifully. Sometimes opposites attract, don't you think? PS. Don't forget to enter the Padgett Hoke Jewelry Giveaway!! Winer will be announced tomorrow morning, good luck! I really can't say LOVE enough! Our dining room table and chair don't match but they are both dark wood and I am tempted every single time I use them to paint one or the other white. I just can't figure out which one yet. I adore those Louis chairs and would pick those if I ever get new ones. Tell your friend to go for it! 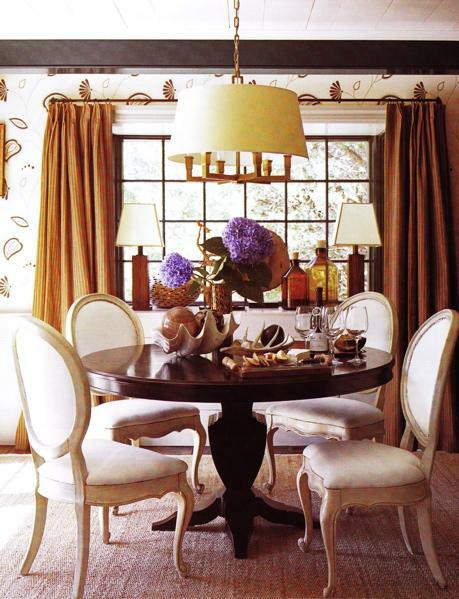 I absolutely LOVE the contrast of mismatched dining room chairs! I feel it gives the room more depth and character. Great inspiration picks! Mismatched is DEF the way to go! All gorgeous images! I know your friends will find something they like in these! Hope your head is better...loving that Calypso outfit in the prior post! My kind of daywear!!! 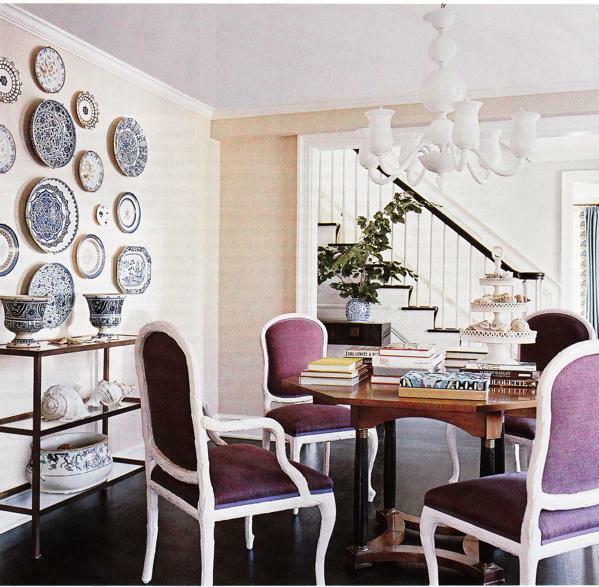 i've always loved that pic of anne turner's dining room...one of my all time favs!